(ECC Park) — Super exciting news! Eggs-tra Special!~ The Easter bunny shall be hopping our way, one day before Easter!!!! Saturday, April 7, 2012 at 10:30 a.m. sharp. Park. 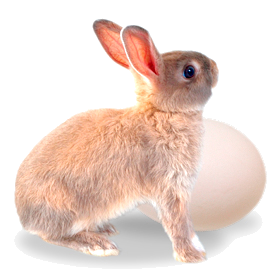 Families please bring your baskets and little bunny kids and grandchildren for ECC HOA’s Egg hunt of all time. “It was such a hop, skip and jump of excitement last year, we filled a whopping 800 eggs with candy this year – 300 more than 2011,” says Organizer Susie Stern. Then, we put on our walking shoes and dropped off event reminder flyers at ECC homes, a project ongoing. Rain or shine (except severe weather, of course). Sat. April 7, 2012. 10:30 a.m. Park. Previous ECC HOA Easter Egg Hunt!